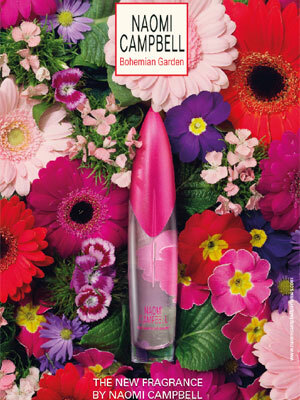 Supermodel Naomi Campbell has launched Bohemian Garden perfume, housed in her iconic signature bottle with rose colored juice, bright pink cap, and vibrant Bohemian style floral packaging. The fruity floral fragrance for women includes notes of lemon, pear, peach blossom, white floral bouquet, rose, sandalwood, and cedar. 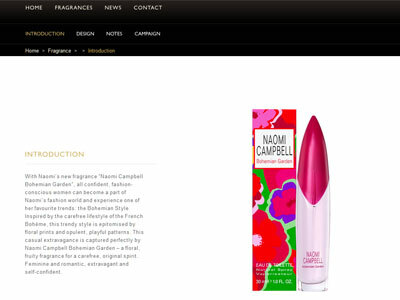 Launched in February 2016, this perfume is available in eau de toilette spray and matching body products.